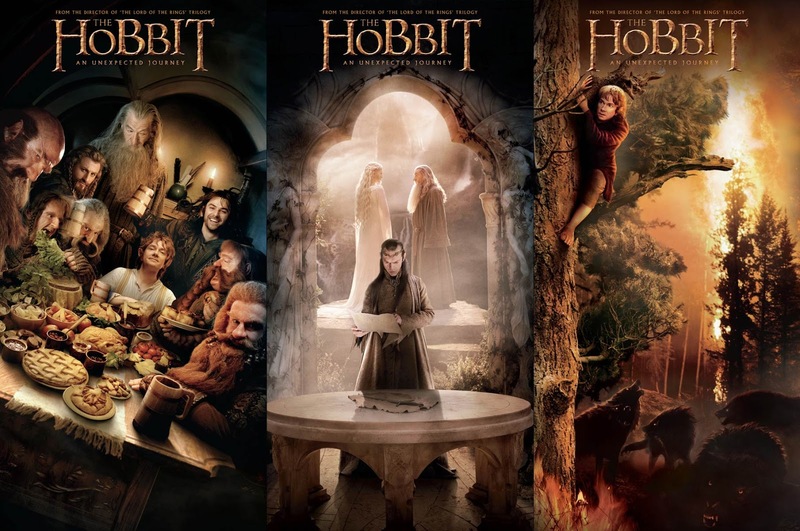 Peter Jackson and the crew crafted some of the greatest films of all time in his treatment of the Lord of the Rings, bringing Tolkien’s tale and world to life for us all. 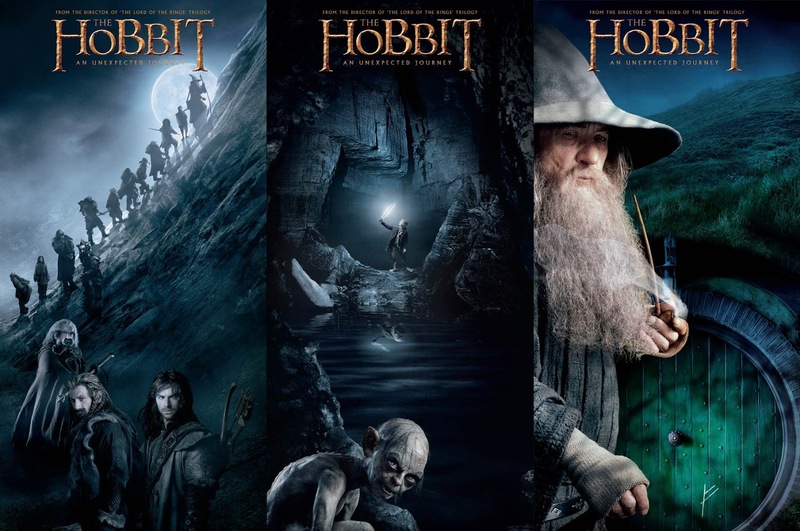 So with the decision to make the hobbit films came much enthusiasm from fans everywhere. So the first of the films to grace our screens is The Hobbit: An Unexpected Journey and while it can be seen in 3D in 48 frames per second quality, I saw it with the family in a very basic 2D cinema. I admit I had very high expectations and while some of those expectations were met, alas there was much to be confused or disappointed by as well. Maybe the intent was to bind this film into the Lord of the Rings trilogy, but in many ways it felt more like rehashing instead. Right from the intro we are presented with a sameness – merging it with the other films so much it all but vanishes. Also, while there are things that must remain from the book, I thought the writers from the LotR films did a super job of changing things from the books to improve the films – here in the Hobbit perhaps they should have done more. Yes, giant Eagles are cool once, certainly twice, here for the third time, not so much without adding something more to their appearance. The method used to intro the film, again was just too much of the same, there must have been another way to bring us into this world again without using the same story telling idea. The film suffered from an identity issue, many films mix light hearted even comedic sequences with real drama and action, this creates the places to breathe and gives a beat to a piece of cinema. Here however we don’t get this, we get confusion. In the Fellowship of the Ring the happy home of the Hobbits is presented with a real function, to highlight the contrast that is the world of men and the darkness that is coming. This not only gives us the audience a sense of what will be lost if evil prevails, but allows our heroic Hobbits to think back on their happy lives and where there place in the world should be. Alas in The Hobbit movie, we get a watered down version of this followed by the intro of the Dwarves which aren’t that contrasted – they are jolly fellows really – even though they are frustrating for Bilbo. They don’t seem that hardly done by, the reason for the quest isn’t conveyed well enough to us to get behind the group. The Dwarves are confusing as well, sometimes they possess super-hero-comic like prowess, tossing plates or hordes of goblins around but at other times they are clumsy and helpless as in the second encounter with the warg goblins or against the trolls. This made them hard to bond with, are they silly cartoon characters or are they something we should try to invest in emotionally. Splitting up the film as it was with a ‘come back for more’ ending also made the whole film fall flatter than it might have, as a setup movie there might have been no choice, but we should have had something epic resolved at this mid-point which then leads into an even greater challenge. The action sequences that are the staple of the film are a confusing bunch as well, are we meant to care about these characters, they are often silly with no fear for our heroes. Even the Trolls are amusing rather than dangerous, it feels like Bilbo just needed to pad out the conversation for a few minutes and hey presto the sun comes up and all is well. That was all a bit ranty, there is quality here of course – the special effects, costumes, attention to world detail and musical score are all gorgeous. While these elements could be what saves the film in my head, they aren’t anything new either, matching the wonders from the Lord of the Rings films. The HobbitBlog site has some super production videos that give a glimpse of how vast an undertaking it is to craft a film of this scale and visual quality. In Vid #9 you get a feel for the insane number of talented people all doing their part, even the musicians playing on the soundtrack just play straight off the music – inspired. There are other CG articles of course – this one on herocomplex has some nice visuals of the Goblin King. There were things I did like of course, Radagast the Brown was great fun with his racing about the forest and slightly disturbed mental state. Even if the film missed the mark on a bunch of things, making cinema on this scale is still remarkable and I hope people keep at it. Final remark, Rivendell feels truly special, magical and remarkable in LotR – mainly because of the reactions of the characters, they imparted that special sense to us, in the Hobbit it was much less so somehow … oh well. Check out the new article on CGSociety on the CG for the film, from teh 48fps, to Gollum and multiple sets.